We package all types of items; from documents to computers, from lamps to antiques, from glasswork to artwork, we professionally package and safely ship for our customers every day. Large, small, & even odd shaped items are no problem. We create custom sized boxes regularly. If you wish, choose a box, bubble wrap, peanuts, etc., and pack it your self. 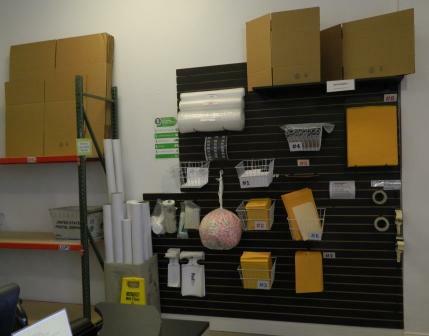 We have an assortment of packing and shipping supplies and tools for sale. Galveston Pack & Ship offers receiving services for your convenience. No more packages dropped off on your front porch until you get home from work. No more packages returned because there was no one there to sign for them. Simply send the package to our address, with your name and contact phone number on the label. We will call you when it arrives and for a $5.00 fee you can come and collect it at your leisure, knowing it is safe and has been documented. You can pick it up 7 days a week. Call us ((409)765-6165) for additional information.